For the last nine years, Edublox has conducted an annual online client survey to help us measure our performance as a business and the quality and results of our educational programmes. One of the key questions that we ask each year is whether a child’s academic performance improved at school – and from each year’s results we are able to make valuable decisions to help us improve our customer experience. 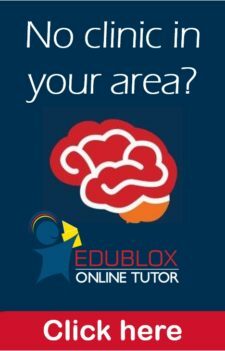 “Thanks for your prompt and highly professional service, my daughter has improved and I have already recommended EDUBLOX to her teacher. At least two of her schoolmates are attending at EDUBLOX”. Q: Why are children of different ages grouped together in the same classes? A: Children are assigned to classes based on their cognitive skills and reading levels as per their initial assessment results and not according to age groups. This allows for tutors to better address the difficulties experienced by a specific group and to avoid presenting a generic lesson that not all children can benefit from. Q: I’m receiving quarterly reports at other reading and learning help institutions. Why does Edublox only provide a progress report every six months? 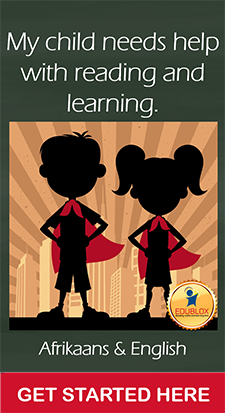 A: At Edublox, we believe that there is no quick fix to addressing reading and learning problems. Improving cognitive skills, like auditory memory, is a long-term project. Improving a child’s auditory digit span from 4 (poor) to 6 (average) can take up to a year. Quarterly reports therefore tend to discourage learners and parents if they don’t show results immediately. Also consider that not all learners attend the same amount of classes and follow the same programmes. For us, the most important measurement of success is the improvement of school results on the long term, but most parents notice some improvement in the aspects and difficulties that prompted them to approach Edublox in the first place quite soon. That being said, we are continually investigating how we can improve the reporting experience and communication to parents. Q: Why are tutors allowed to take their cell phones into classes? A: Certain franchises make use of WhatsApp as a direct communication medium between tutors and parents, and this channel might be of use in case of an emergency. Thank you for participating in our survey! 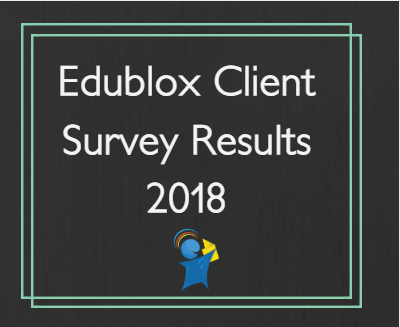 The results will be discussed during our Edublox Conference in 2019 and we will lean heavily on your feedback to help us improve our classes and client service in the year to come.